Hurray, it's snowing and it's cold! What would a winter be without snow? In order to have a winter wonderland we sometimes have to let nature do what it does best and maybe enjoy a day without any outdoor activities when the snowfall is too heavy. But this also means that we can look forward to the wonderful snow-covered landscapes on the Austrian Alps the next day. While there is a snow storm outside why not try one of the other activities in the Montafon? Here is what you can do on the Kristberg? The St. Agatha miners' chapel is Montafon's oldest church and was built due to the mining activities in the area. Further witnesses of this time are the “Unglücksstollen” (adversity mine), which can still be seen in the church today, and the Bruderhüsli in the Dalaaser forest. The Montafon-Klostertal mining region was once the biggest in the whole of Vorarlberg. Adolf will gladly tell you more about it. Karin, our certified massage therapist, will indulge you with relaxing, remedial massages (classic, foot reflexology, tissue massage or lymph drainage, Reiki treatment or kinesiology with Touch for Health). The Infrared-Sweat-Cabin offers enough room for up to 4 people and can be used for various treatments (active sauna, stress reduction, intensive skin care, vitality enhancement, colour therapy, …). We do kindly ask you for your understanding that we can only offer you this free service if you make a reservation in advance. We will be pleased to provide you with our Kristberg bathrobes. When was the last time that you took the time to read an interesting book? You will find some great books in our book cupboard on the 1st floor next to the massage room. Hiking and walking in the rain is especially healthy, because the air is the clearest and freshest when it is raining (no dust, no pollen, …). This is a true recreation especially for allergy sufferers and sensitive people. Our yellow “Kristberg umbrellas” are available for you at the entrance and also in the restaurant. Behind the Muttstöbli you will find our “Spielraum - Room of Games”. There you will find a ping-pong table. Table tennis balls and bats as well as coins (50 cent coins) for a nice game of table tennis are available at the reception. In the Muttstöbli you can also borrow videos and DVDs. Enjoy a bit of cinema flair on the Kristberg. When did you last enjoy a nice board game? If you fancy a bit of “ludo”, a card game, chess or Yahtzee, etc, just tell us. We definitely have the right game for you. Are you suffering from phobia (fear of heights, ...)? Do you want to get rid of bad habits (smoking, nail biting, eating habits, …)? We will most likely be able to help you. “Aktivpark” Activity Park in Schruns-Tschagguns? The Aktivpark in Schruns-Tschagguns has a roofed ice-rink for ice-skating as well as for curling. Indoor golf? You will be able to enjoy golfing even on rainy days with the state-of-the-art golf simulator at the Bergkristall Hotel in Silbertal. The Montafon mining museum is located in the Silbertal town hall and presents Montafon's mining history up to today. The highlight is the show mine with mine-hunt, miner's documents, historic photos, traditional tools as well as mineral ores. Gentian Distillery? Frank Zudrell started to produce the well-known and very popular gentian schnapps out of the yellow and red gentian already in 1919. This product was used as an organic medicine for stomach problems and to enhance the metabolism. The youngest son, Werner Zudrell (Enzianhof) still produces this gentian schnapps and sells the first-class product all over the world. If you want to try it or even visit the distillery, you can book a tour. Just call the Zudrell family (Tel. +43 5556 74117). VAL Blue Adventure Pool? Swimming fun for the whole family: 1,900m² of bathing and leisure fun, 420m² water surface, 1,000m² relax areas with conservatory and adventure restaurant. The 490m² sauna area offers perfect conditions for sauna enthusiasts with its five saunas, sauna-biotope, two relax areas, sauna meeting point with internet access and TV, sauna-lobby with heated loungers and Kneipp pool. Local Museum in Schruns? The local museum in Schruns offers a great overview over Montafon's cultural history. From the Montafon traditional costumes to a typical classroom; diversity is guaranteed. There is also a tourism museum in Gaschurn and a technology museum in Partenen. Trip to Feldkirch? Feldkirch not only has a stunningly beautiful town centre but also offers the opportunity to visit the Schattenburg (an old castle with castle museum) or the wildlife park, where you can meet alpine animals like boars, ibex, deer, stags, chamois, wolves, eagles and more from up close. Shopping? A shopping tour through the pedestrian area in Schruns, the Wilhelmer outlet centre in Vandans, in the Zimbapark or the pedestrian area in Bludenz offers a great alternative in rainy weather. 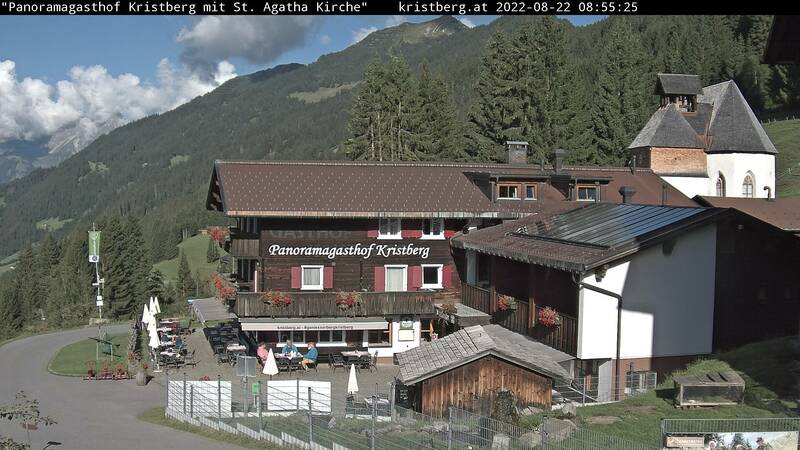 As a member of the Montafon Aktivclub the Kristberg Panoramagasthof offers you discounts and free entrances for various leisure activities in the Montafon. You will for instance get free entrance to the roofed ice rink with ice disco as well as to the curling alley; both at the Montafon Aktivpark. Find further tips in the “Montafon Event Pamphlet” in the A-Z section and of course our indulgence team at the Kristberg Panoramagasthof reception and indulgence team will also gladly help you. Register for various activities with them or make an appointment for a remedial massage etc. Just e-mail or send us a no obligation holiday enquiry with your holiday wishes. We are looking forward to your visit in the Montafon.